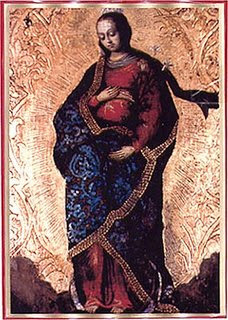 During Advent the Church celebrates the longing to see God’s Face, together with the Blessed Virgin Mary, with a Triduum (three days of prayer beginning on December 15) and a Feast (on December 18th)–It is called The Feast of the Expectation of the Blessed Virgin Mary, Longing to See His Face. (a bit of the history may be found here.) The prayer may also be continued until Christmas. 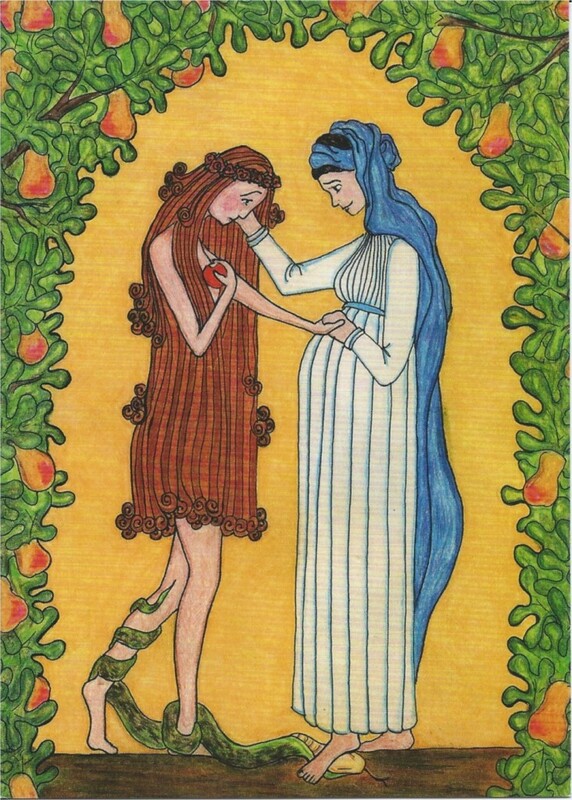 “Mary, your life with Jesus was one of the purest, most fervent, most perfect emotions of longing and most eager expectation of the Birth of the Divine Child! How great must have been that longing! You were longing to see the Face of God and to be happy in the vision. 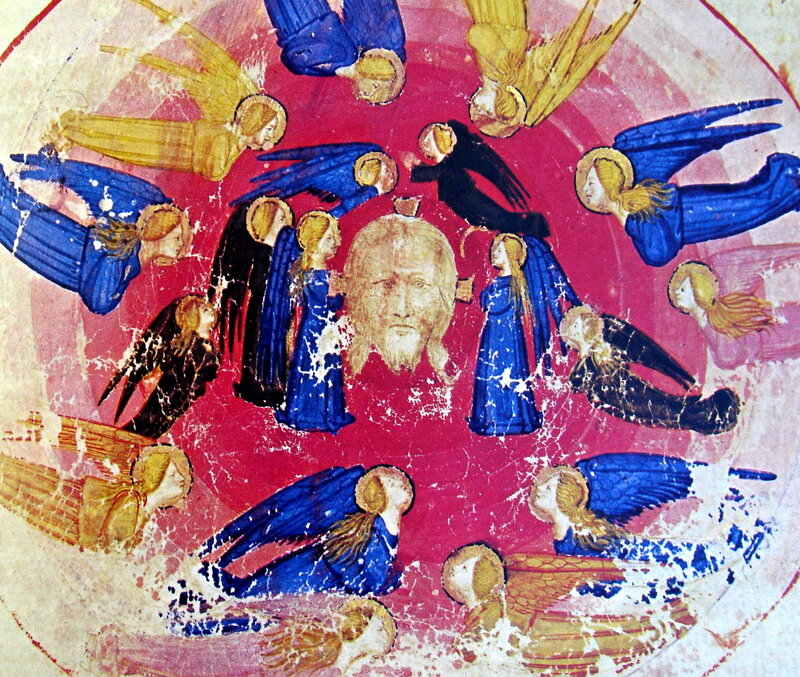 You were soon really to see the Face of God, the created image of divine perfection, the sight of which rejoices heaven and earth, from which all being derive life and joy; the Face whose features enraptured God from all eternity, the Face for which all ages expectantly yearned. 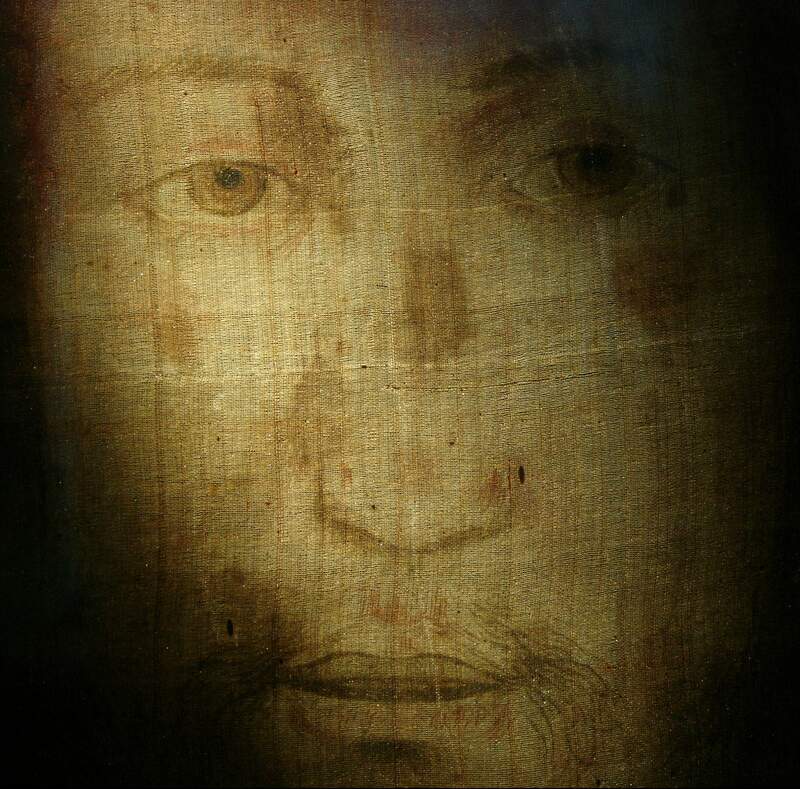 You were to see this Face unveiled, in all the beauty and grace as the face of your own child. God is pure light, and Jesus is the light of God, “the light of the human race; the light shines in the darkness,” which “the darkness has not overcome” (John 1). 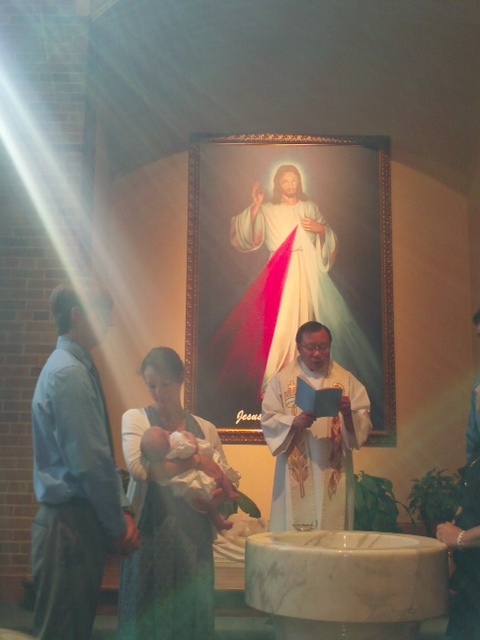 Jesus reveals God’s glory, the radiance of His truth and love in a human Face. 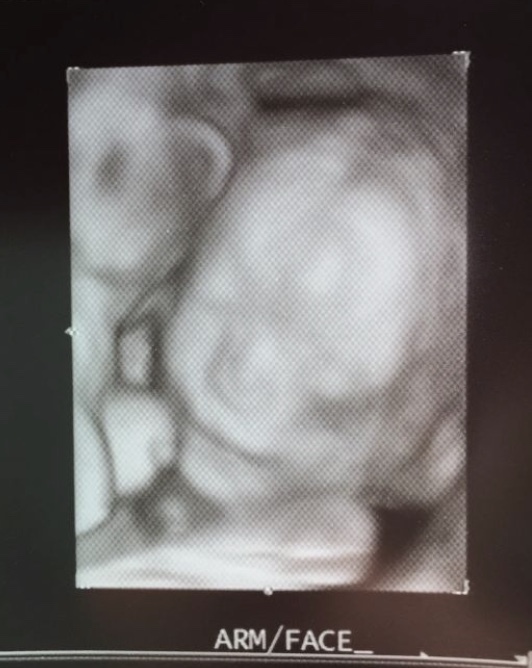 The hidden face of an unborn baby in the womb. 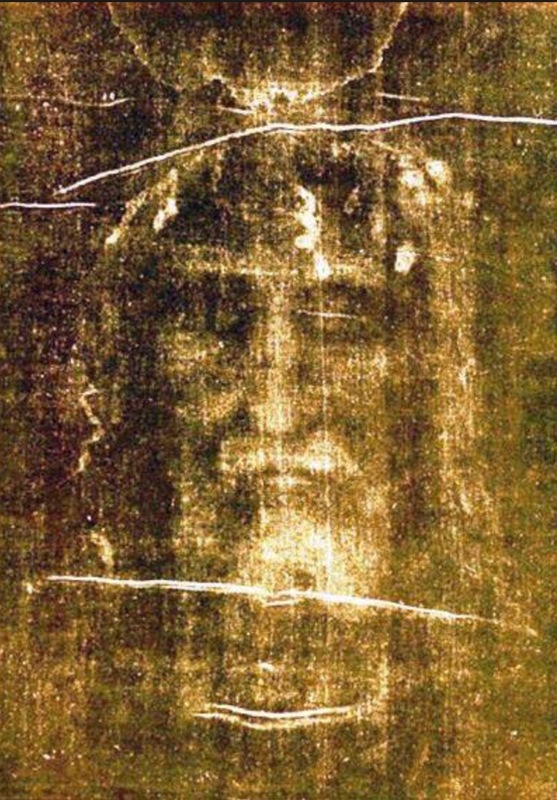 Why does humanity not see His glory or recognize His Face? We need light to see. 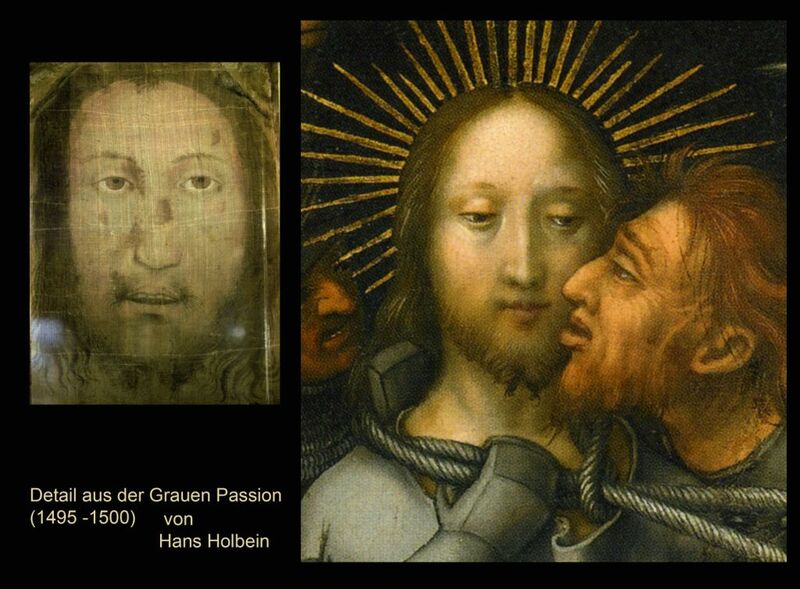 If we are not turned toward the Face of Jesus, who is the Light, we will see only shadows and darkness in this life. If we do not recognize God’s Face, in His Word and in our neighbor, perhaps we need more light. If God’s glory is hidden from us, like the face of a baby in the womb, it does not mean He is not there. He exists. He is present. 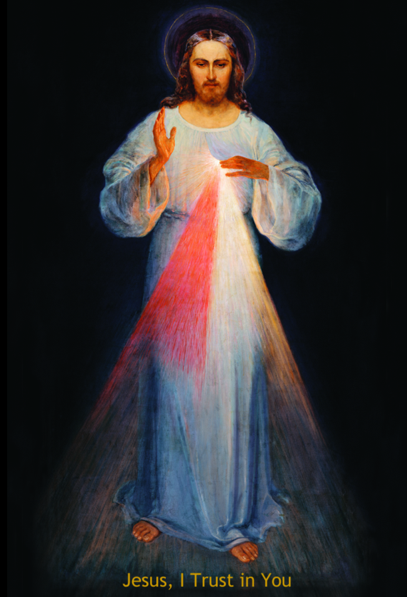 He loves us, and is waiting for us to return His love–to shine the light of His Face upon us. 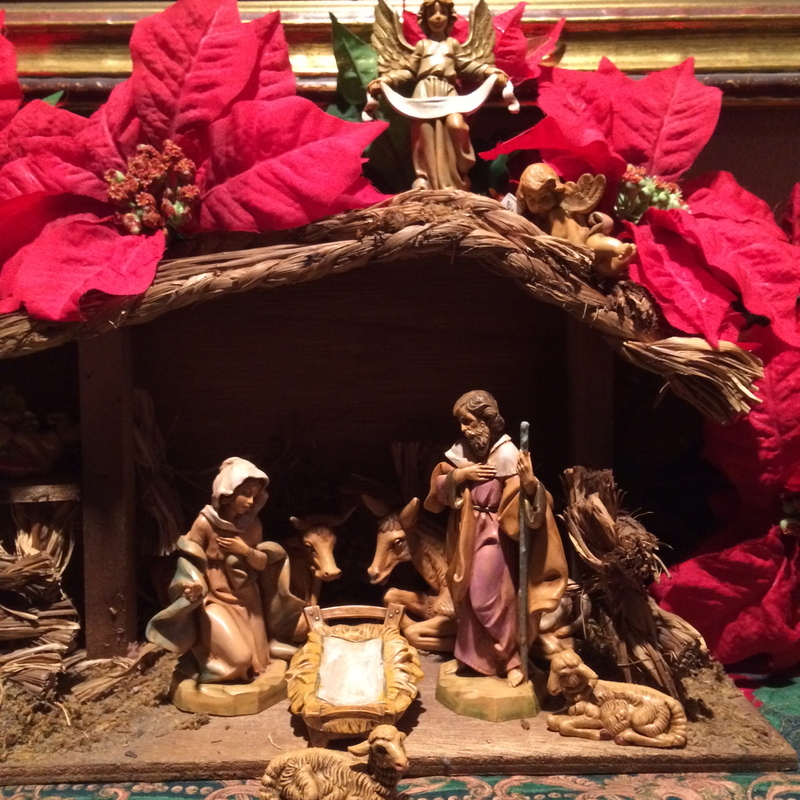 After the angels proclaimed that the glory of God had appeared on earth in the Christ Child, the shepherds hastened to see Him. They were enlightened by grace to recognize “the glory of God’s only Son” shining on the Face of the poor, humble babe that lay before them. 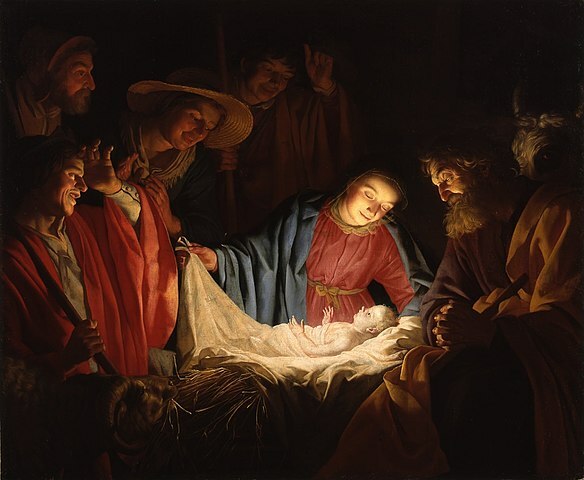 Let us pray this Christmas that all those who live in darkness may hasten to Him–so that, by the grace of God, they may seek and find the Face of Jesus. And in turning to Him, they may see a great light: His grace and truth! Just in time to celebrate the one-hundredth anniversary of Fr. Willie’s death, there is a new book available, on the inspiring life of Fr. 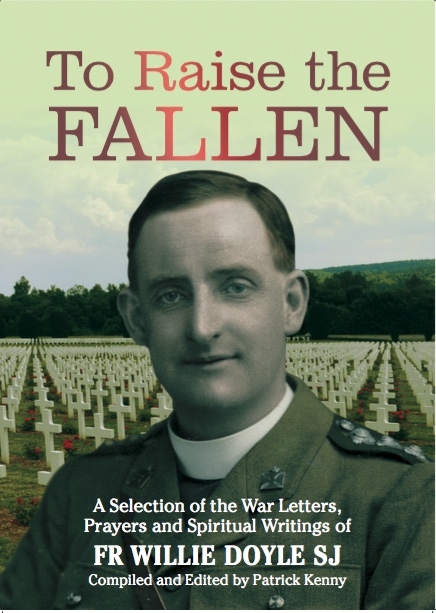 Doyle, his writing and war letters compiled by Patrick Kenny, To Raise the Fallen, which may be found by clicking (here). 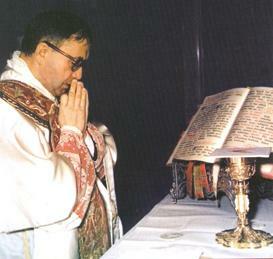 If you are interested in reading more about the life of Fr. Doyle be sure to visit this wonderful blog dedicated to to Fr. Doyle: Remembering Fr. 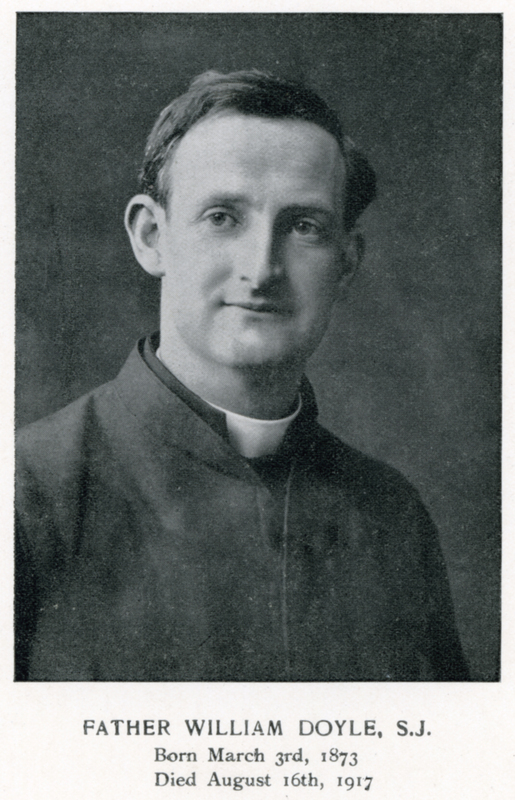 Willie Doyle, S.J. 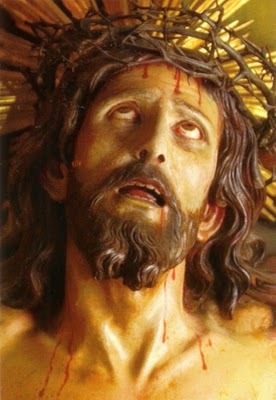 The Chaplet of the Holy Face honors the five senses by which Our Lord Jesus suffered in His Holy Face. 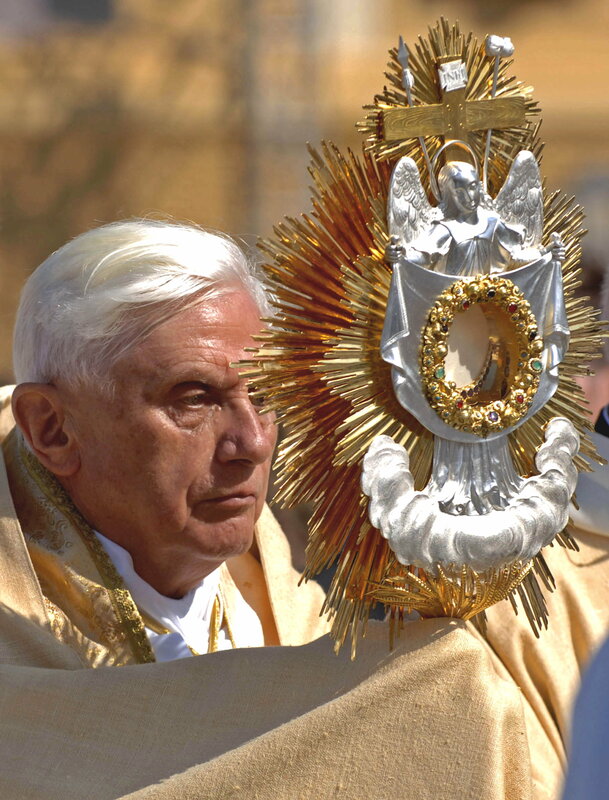 It is also offered in reparation for blasphemy, sacrilege and indifference by which God is offended, and to entreat God for the triumph of His Church and conversion of its enemies. 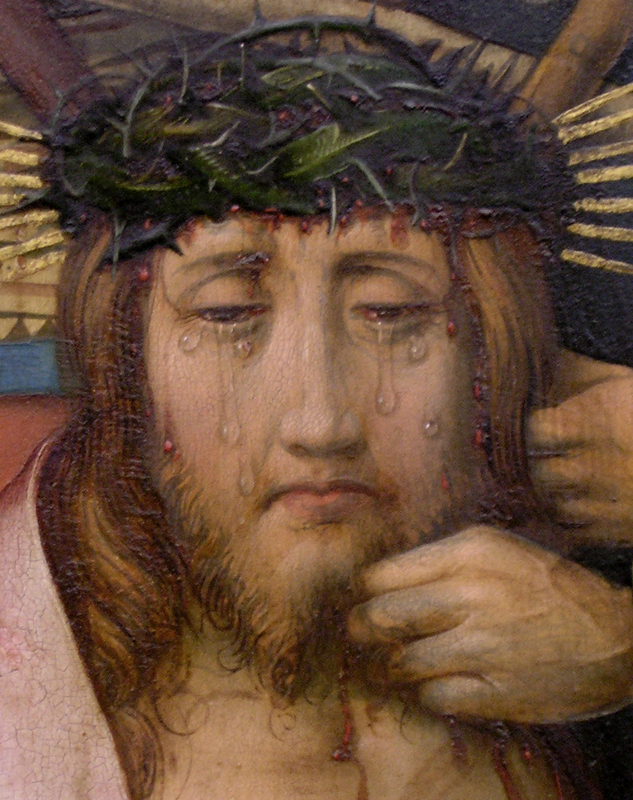 The Symbolism of the Holy Face Chaplet: The Chaplet consists of 39 beads. The Cross reminds us of the mystery of Our Redemption. 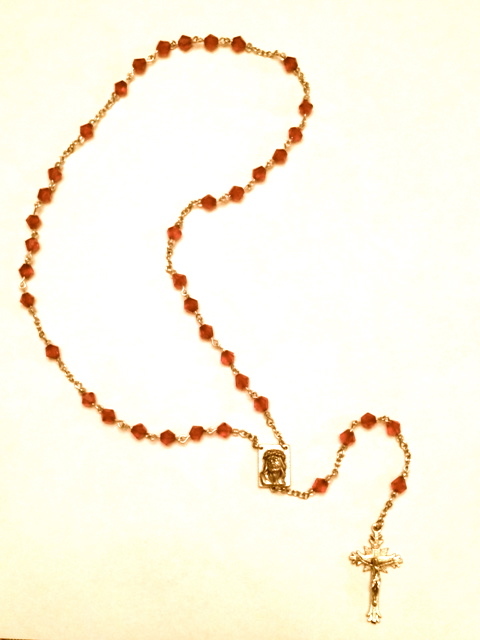 The 33 (“Hail Mary”, or small) beads represent the years of Our Lord’s mortal life on earth. 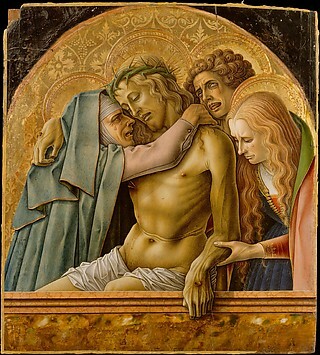 *The three beads near the Cross represent the public years of Jesus’s Life. The remaining 30 (small) beads represent His hidden life. Chaplet is divided into five groups of six in honor of His five senses. 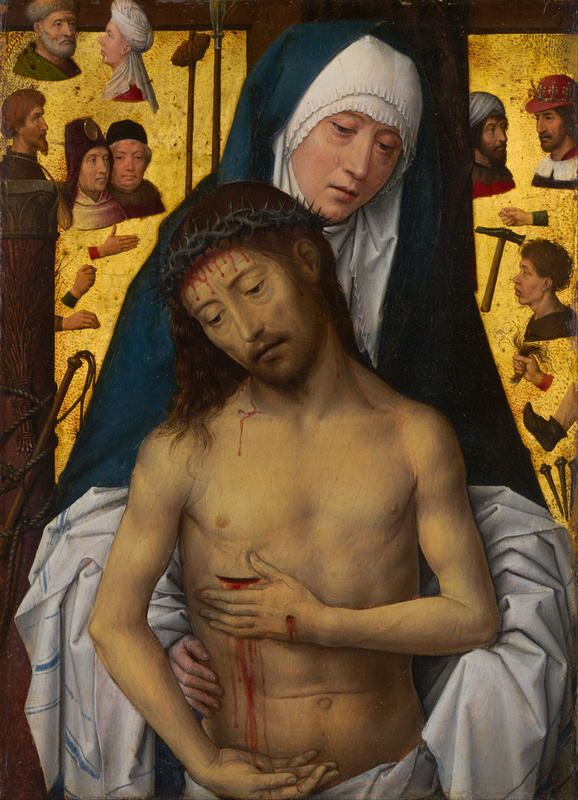 The seven “Glory Be’s” which are said within the Chaplet represent the Seven Sorrows of Mary. The method of reciting it is very simple. (The short meditation before each group is helpful, but optional) The following form may be used individually or when praying with a group. Perfect for Lent! All: +In the Name of the Father, and of the Son, and of the Holy Spirit. Amen. (On the first bead) Leader: My Jesus, mercy! All: Glory be to the Father, and to the Son and to the Holy Spirit as it was in the beginning, is now, and will be forever. Amen. Leader: Arise, O Lord, and let Thy enemies be scattered. All: And let those that hate Thee, flee from before Thy Face! 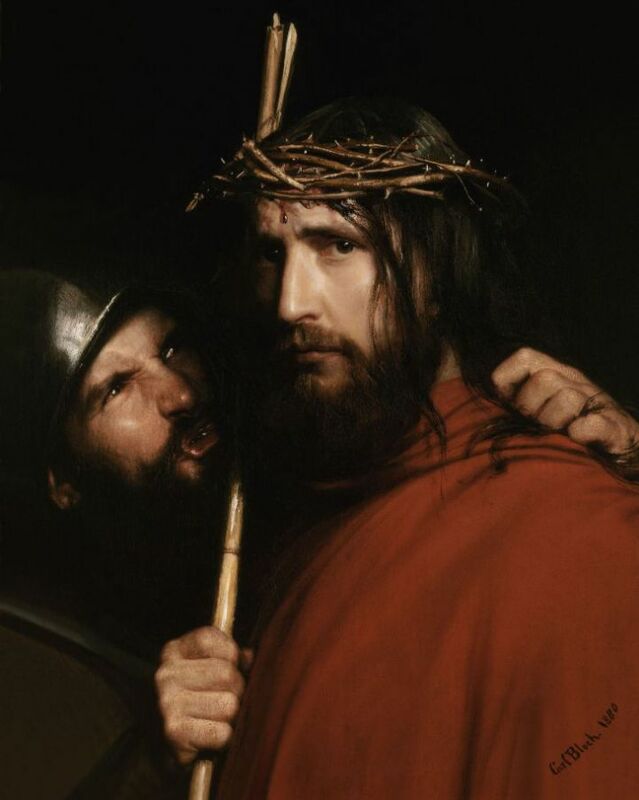 Leader: (In honor of all our Lord suffered through the sense of touch in His Holy Face) O Jesus, who endured a kiss of betrayal from Judas as well as from the strikes and blows on His Holy Face from sinners….Have Mercy on us! (First – On the next “Our Father” bead) Leader: My Jesus, mercy! 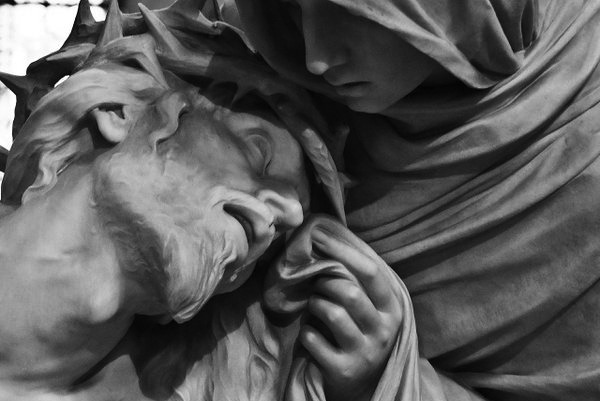 Leader: (In honor of all our Lord suffered through the sense of hearing) O Jesus, whose ears were assaulted by the curses and blasphemies which issued from the lips of those He created in His love….Have Mercy on us! 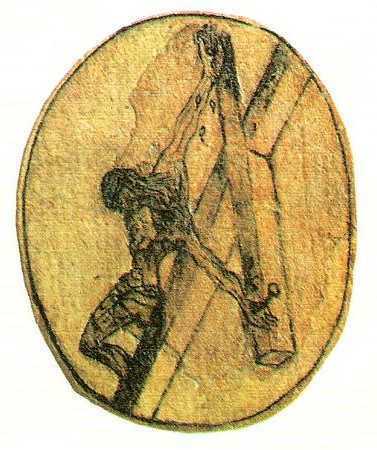 (Second – On the next “Our Father” bead) Leader: My Jesus, mercy! 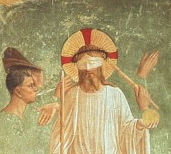 Leader: (In honor of all our Lord suffered through the sense of sight) O Jesus, whose eyes were filled with tears and blood, then shamefully blindfolded by those who refused to look upon the Him who is the Truth…Have Mercy on us! (Third – On the next “Our Father” bead) Leader: My Jesus, mercy! 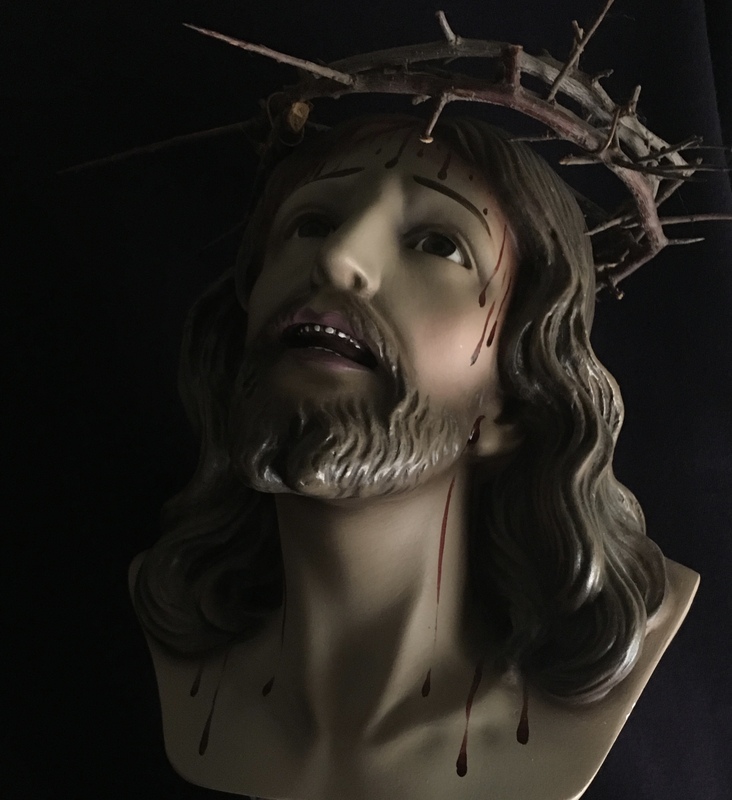 Leader: (In honor of all our Lord suffered through the sense of smell) O Jesus, who suffered in His sense of smell, when His Holy Face was defiled and disfigured, covered with spittle and filth….Have Mercy on us! (Fourth – On the next “Our Father” bead) Leader: My Jesus, mercy! 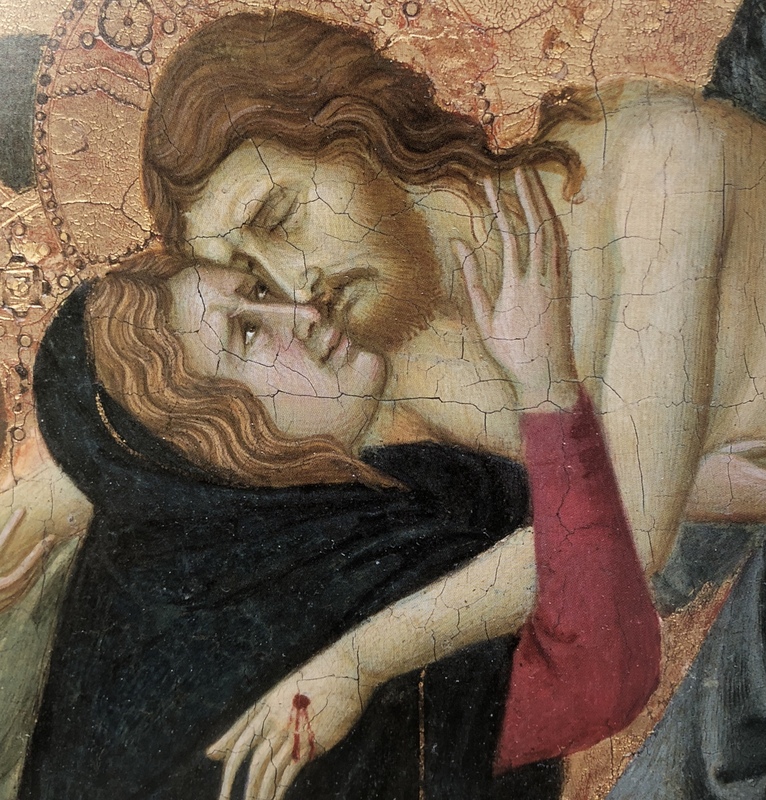 Leader: (In honor of all our Lord suffered through the sense of taste) O Jesus, whose adorable mouth was filled with vinegar and gall….Have Mercy on us! (Fifth – On the next “Our Father” bead) Leader: My Jesus, mercy! Leader: O God, our protector, look upon us. 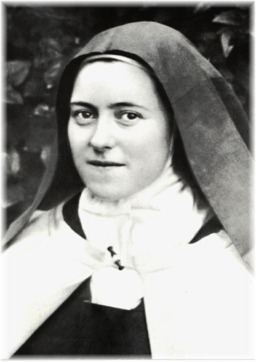 MAY the most holy, most sacred, most adorable, most incomprehensible and ineffable Name of God, be forever praised, blessed, adored, loved and glorified, in heaven, on earth, and in the hells, by all the creatures of God, and by the Sacred Heart of Our Lord Jesus Christ in the most Holy Sacrament of the Altar. Amen. Jesus, may I seek your Face, may I learn to find it and to reflect it to others. May I learn how to see You in the ordinary happenings of my daily life. Amen. Is there anyone who enjoys waiting? Our human nature rebels against all forms of it: there is the mundane waiting we must endure in lines, in traffic, at ball games, practices, and in doctor’s offices; the anxious waiting for phone calls, for results, or for the end of sufferings; the joyful waiting for birthdays, anniversaries, graduations and other celebrations. Then there is the heavy combination of all three types of waiting–which is of a mother waiting for the birth of her child. Our weak human nature does not like to wait. We want to “get there” right away, to “know” right away, for something to be “done” right away. Waiting requires patience and most of humanity has very little. But wait we must, and since everything in life is permitted by God solely for our good, waiting must be very good for us since we spend so much of our lives doing it. 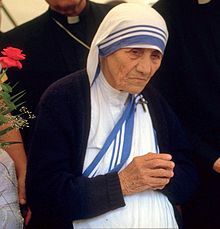 If waiting is indeed good for us, then it is certain that the evil one will do everything possible to trip us up as he did with the children of Israel while they were waiting, waiting, waiting for Moses to come down from the mountain with the Ten Commandments. When God was telling Moses, “I am the Lord, thy God: thou shall not have strange Gods before me,” the devil was tempting them to pride; the Israelite’s did not want to endure waiting to see the Face of God so they fashioned an idol, the “work of their own hands.” Here lies the temptation for us all in what should be a grace-filled period of time: distraction in turning the eyes of our soul away from the Face of God and toward the false faces or idols of the world–bright, sparkly, enticing and all around us. How can we resist falling into the traps of idolatry? 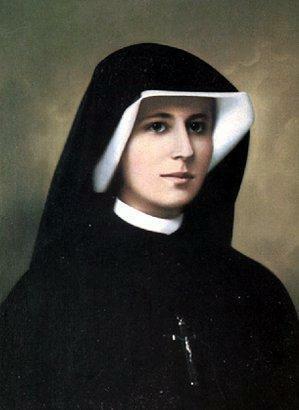 The ultimate good is to see the Face of God and therefore Mary must have waited like no one has ever waited before! 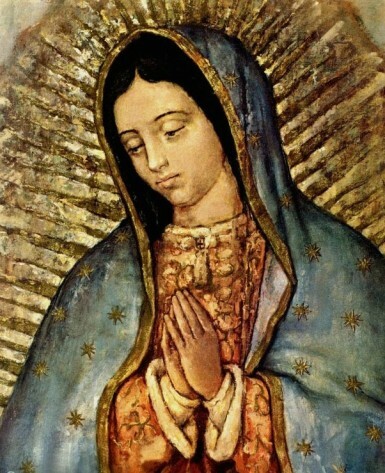 Mary, for the love of God, waited in patience, humility, faith, charity, in hope, and in supreme fortitude. 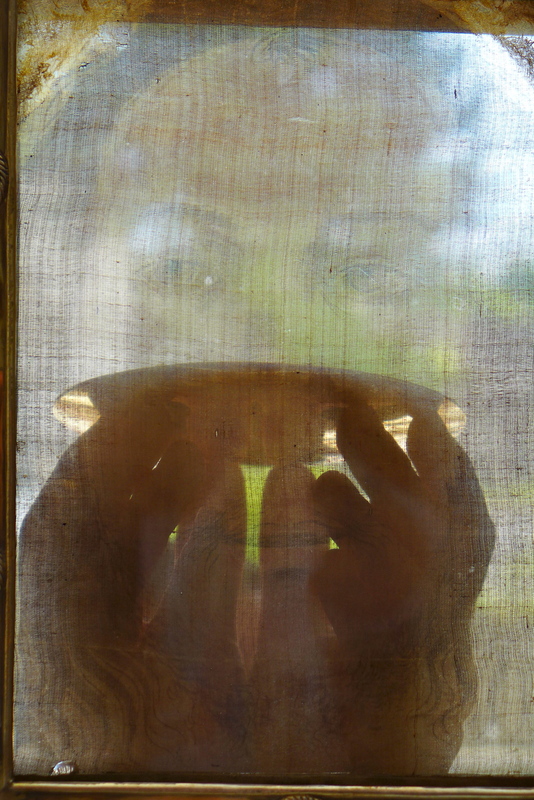 She did this by fixing the eyes of her soul on Jesus, her Redeemer and God–Whose Face she could not yet see within her womb. 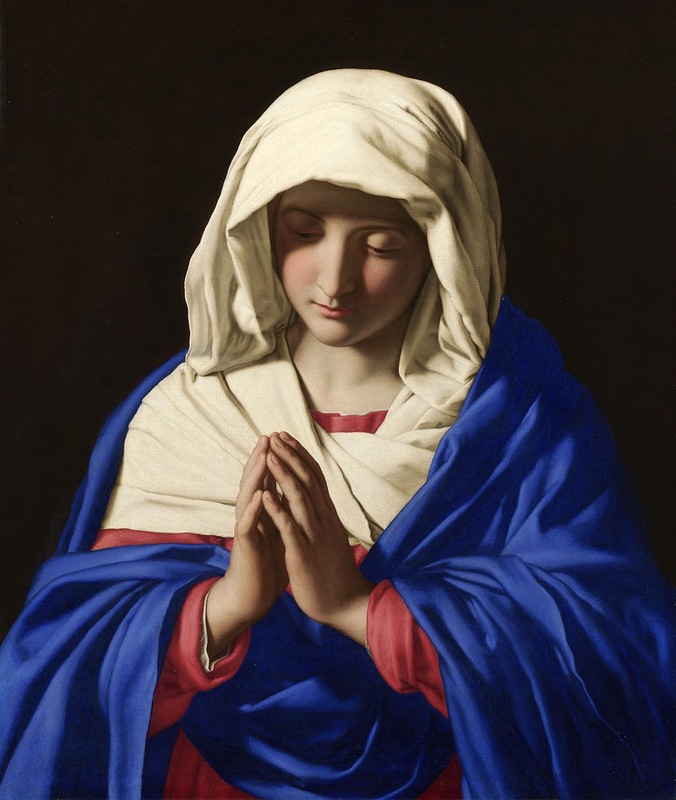 Mary’s uncomplaining acceptance of God’s Will–to seek His Face and only His Face–bore the most sublime fruit in Mary’s soul of divine PEACE, which the world can never take away. So, this Advent and in all times of waiting, wait with Mary, and her reward will also be ours…to see the Face of her Son!